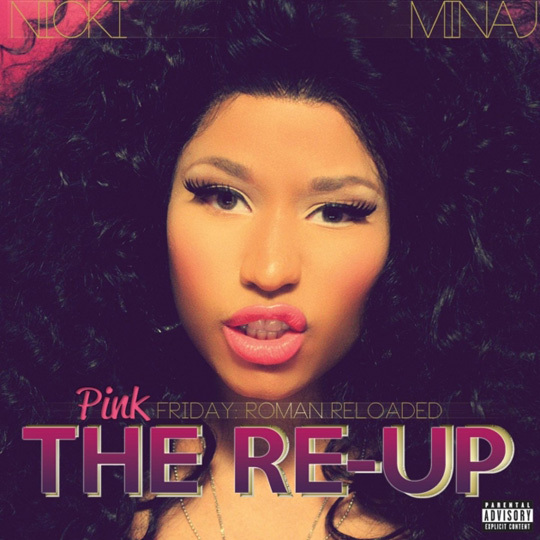 Nicki Minaj’s “Pink Friday: Roman Reloaded – The Re-Up” Album In Stores Now! Nicki Minaj’s “Pink Friday: Roman Reloaded” Album In Stores Now! I believe it was 36k but still good for a re release…. I just did the first 7 days up to November 26th, I think 36k is counting today and yesterdays sales. nevermind..who will buy cds? ichanged my mind..ithink ishould buy it for my cousin for her birthday..idk..this is boring..
LOL are we really going to act like this album did not flop? how do you know there’s 7 new songz..creeper..well someone stalks her..
not many re-releases go past 50,000…. If it was Weezy he would sell more than 500,000 copies. Lol she out sold Katy Perry’s re-relise, it helped move Roman reloaded up 75 places in the charts in just one week so its not doing to bad. everything is about nicki..ichecked all the news..nicki, nicki nicki everywhere..
I’m not worried because I know her 3rd album Pink Friday: The Pink Print will sell way more! She already said she knew a re release wouldn’t sell a lot and the stores wouldn’t sell it, Best buy only took in like 3-5 copies per store, and ppl have been tweeting her saying they can’t get the album so i know she will sell way more! damn..you write alot..i almost fell asleep while reading..make your damn sentences shorte..thanks..btw it seems you’re not a Nicki mianj fan..
To all the fans that like her now check out on youtube what she used to look and sound like…SHE was a dope MC back in the day and basically CLOWNED herself and dumbed herself down for YOU…that should make you think a little…maybe you are not smart enough to handle the bars that she used to spit…OBAMA 2012 hopefully her fan will go back to school and get an education now that the president is back in office. How many of you idiots have hurt her mixtape playtime is over. Last I checked she could wrap and she could wrap weekly well. So why the F is she not doing her albums. The wrapping is cookie-cutter at best. I thought her first album hoping I would get much of the same text offered. I was extremely pissed to see that no I didn’t. The song Romans revenge was the only thing that was slightly close.